The EUR/USD currency pair has left the rising channel. 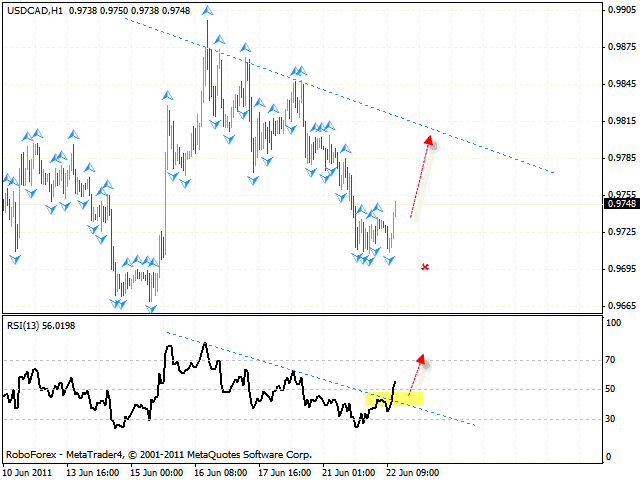 At the moment we should expect the price to start moving downwards with the target in the area of 1.3950. 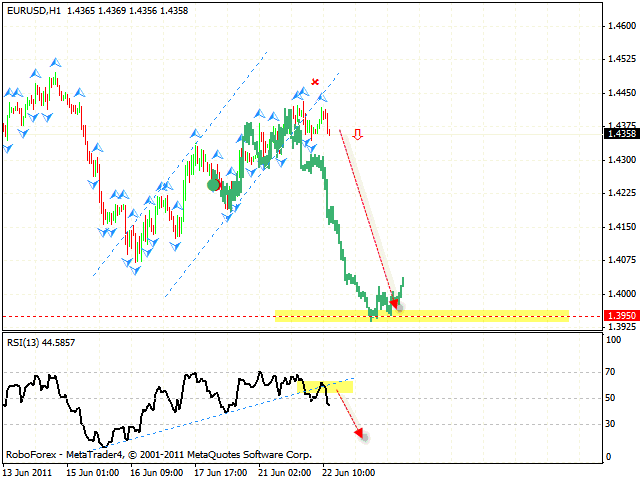 One can consider selling the pair, the stop must be above 1.4450. Pound is moving according to the forecast. The RSI indicator has hit the descending trend’s line and started moving in the opposite direction. 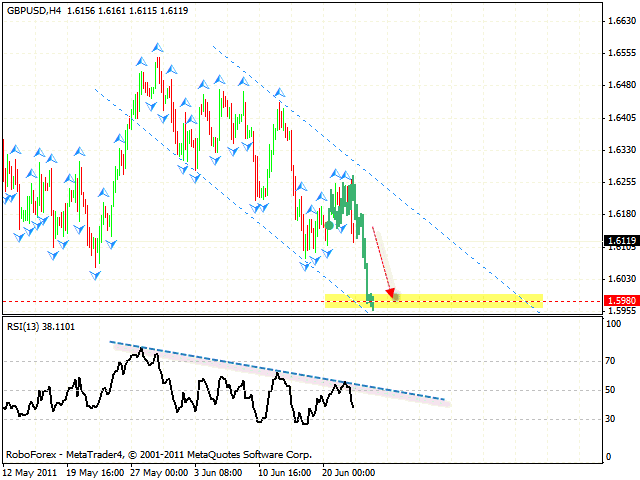 At the moment we should expect the price to start falling down with the target in the area of 1.5980. But if the pair grows higher than 1.6255, this case scenario will be cancelled. In case of Franc the RSI indicator has broken the descending trend’s line, thus indicating the test of the similar trend line at the price chart. 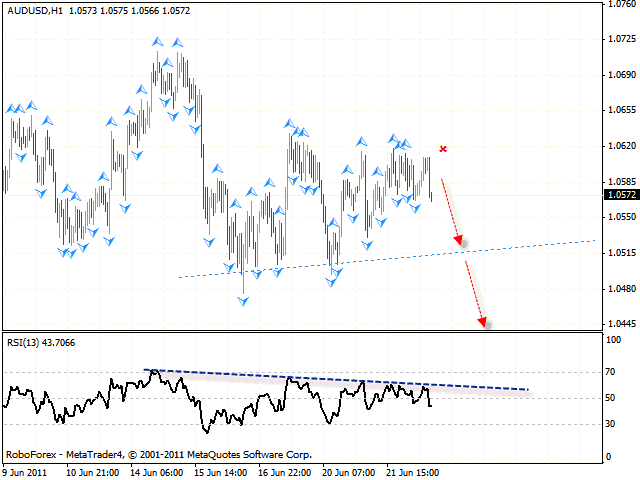 One can try to buy the USD/CHF currency pair with the stop below 0.9695. The target of the growth is the area of 0.9805. Australian Dollar is still being corrected, but currently we should expect the price to fall down. The target of the fall is 1.0520, the stop must be above 1.0620. After the price breaks the trend’s rising line at the price chart we should expect the pair to fall even lower.